The performance will center on Barber's Hermit Songs, a ten-song cycle based on anonymous poems written by Irish monks and scholars from the 8th to the 13th centuries. 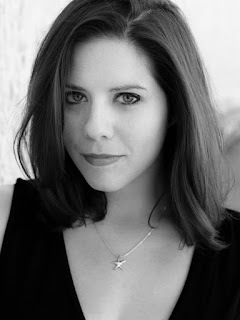 Irish-American Soprano Ariana Strahl has been called ‘the discovery of the night’ (Voralberger Nachrichten) and has been celebrated as a singer with ‘fearless, accurate vocalism’ (Opera Now). Miles Graber received his musical training at the Juilliard School. He has lived in the San Francisco Bay Area since 1971, where he has developed a wide reputation as an accompanist and collaborative pianist for instrumentalists and singers. Irish-American Soprano Ariana Strahl has been called ‘the discovery of the night’ (Voralberger Nachrichten) and has been celebrated as a singer with ‘fearless, accurate vocalism’ (Opera Now). Following two years at the Komische Oper Berlin, Ms. Strahl now enjoys a schedule that balances opera and art song. In the 2015-2016 season she will tackle Manuel de Falla, Canteloube, Clara Schumann, and Andre Previn's masterwork 'A Streetcar Named Desire' with Opera San Jose. Ms. Strahl resides in Ann Arbor, Michigan, but will always feel at home in the Bay Area. Miles Graber received his musical training at the Juilliard School. He has lived in the San Francisco Bay Area since 1971, where he has developed a wide reputation as an accompanist and collaborative pianist for instrumentalists and singers. He has performed with artists such as Itzhak Perlman, Sarah Chang, Cho-Liang Lin, Camilla Wicks, and Axel Strauss. Mr. Graber currently performs frequently with violinists Christina Mok and Mariya Borozina, flutists Gary Woodward and Amy Likar, and clarinettist Tom Rose. He is a member of the chamber groups Trio Concertino, MusicAEterna, and the Sor Ensemble. Miles and Arkadi Serper comprise the two-piano team Scorpio Duo.